I’m on a mission to take life slower. Sometimes things move so quickly that I get caught up in trying to get everything done perfectly and on time and I miss the important things that are going on around me. I forget to breathe. I forget the basics. I focus on the wrong things. This weekend I decided to slow down, to be present, to breathe. Hang my clothes out on the line. Spend meaningful time with dear friends. Eat butter pecan ice cream and remember my father. Eat simply. And simply eat. Bake something wholesome…. 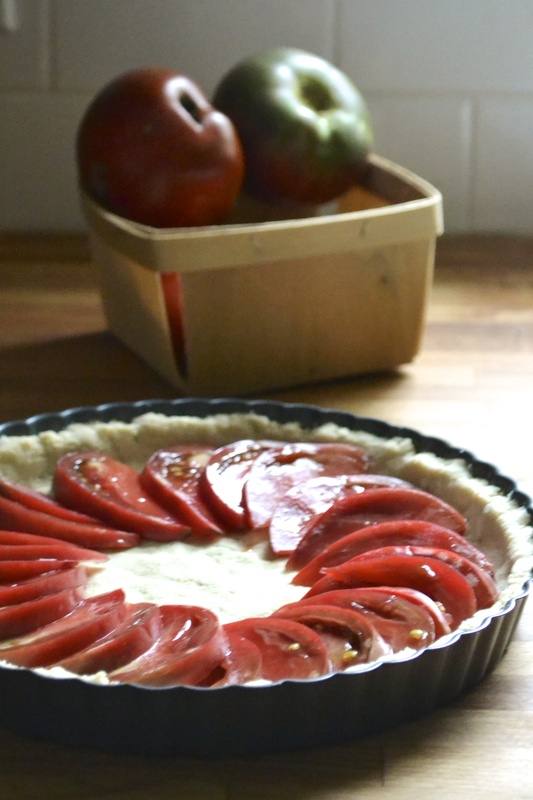 like a savory tart, which is where this basic tart crust came into my life this weekend. Everyone should have a basic pie crust and tart crust recipe up their sleeves. And bonus for the gluten and grain free gang, almond flour makes a wonderful flaky and light crust. This basic tart crust is based on a fabulous recipe from the Gluten-Free Almond Flour Cookbook by Elana Amsterdam. (Which is a great book for those who are breaking into the world of almond flour baking.) 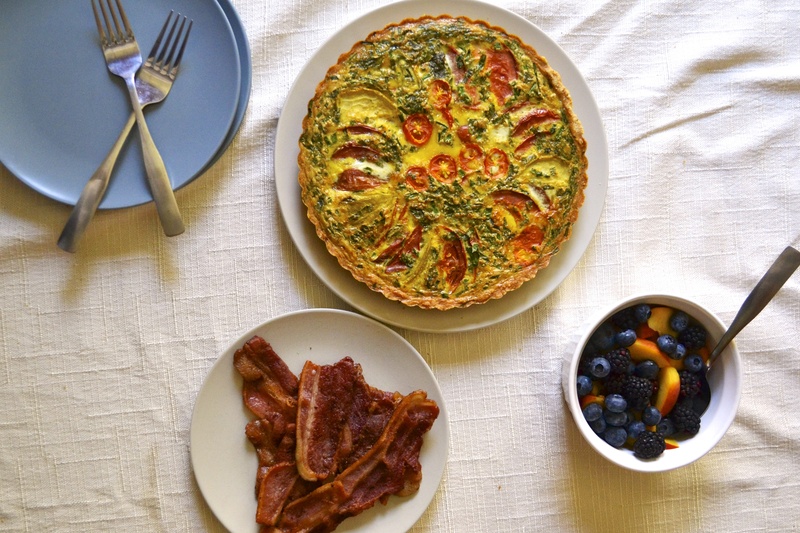 This basic tart crust recipes is easily adaptable to go to the savory side or the sweet side. Currently my fave way to serve this tart crust is by adding fresh herbs from the garden and filling it with eggs and heirloom tomatoes. Simple. Done. And leftovers will be breakfast for the upcoming week! Man, I’m liking this simple life. For other savory fillings, you could use this crust for a quiche crust or as an open pot pie crust! 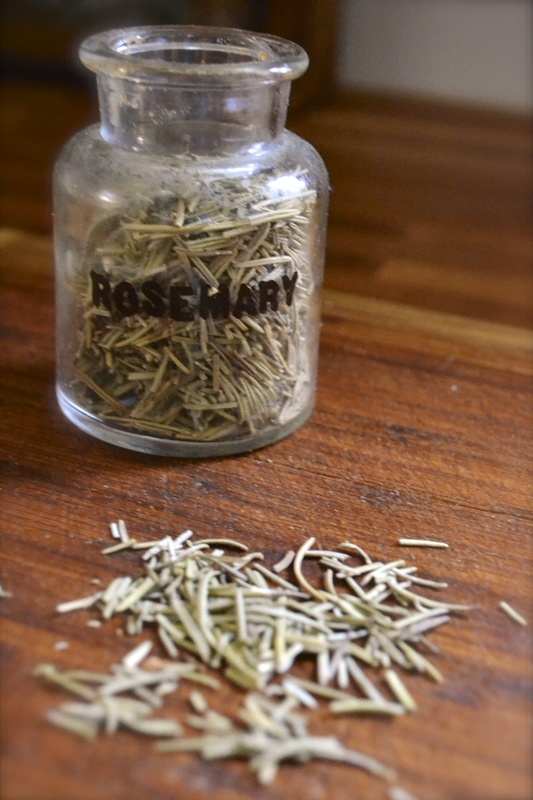 However, if going sweet, eliminate the black pepper and rosemary and add a tablespoon of honey. This would be simply great filled with lemon curd. Mmmm. Preheat oven to 350 F. Lightly butter or oil a 9-inch tart pan and set aside. Place the dry ingredients into a medium bowl and combine with a wire whisk. Add softened coconut oil and mix with a spoon until combined. Add in the ice water, starting with just 1 tablespoon. Combine with your hands until the mixture begins to hold together. 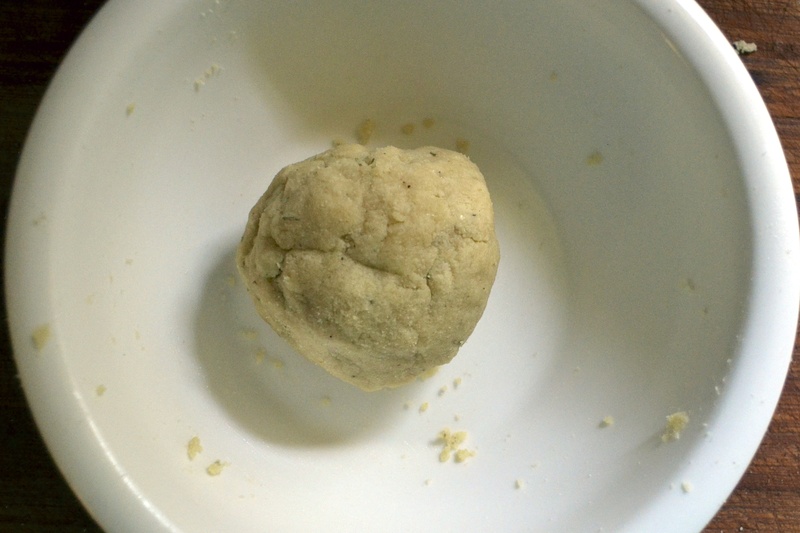 If the dough is not holding together, add a second tablespoon of cold water. Press into a ball. If making ahead, you can cover the ball of dough in plastic wrap at this stage and place in the fridge for a few hours until you are ready to bake it. Place the dough ball into the prepared tart pan. Starting from the center of the dough, press into the tart pan evenly working your way out to the sides. Press the dough up the sides evenly. Pierce the bottom of the crust with a fork a few times. 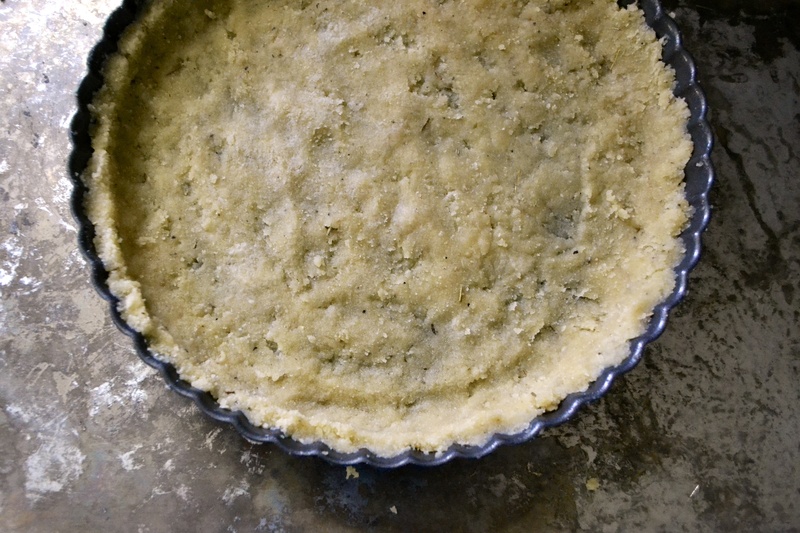 If making a tart crust that will be cooked after it is filled, then you will want to partially bake the crust. However, if you are filling the tart with something that will not bake after it is filled, then you will need to fully bake this crust. 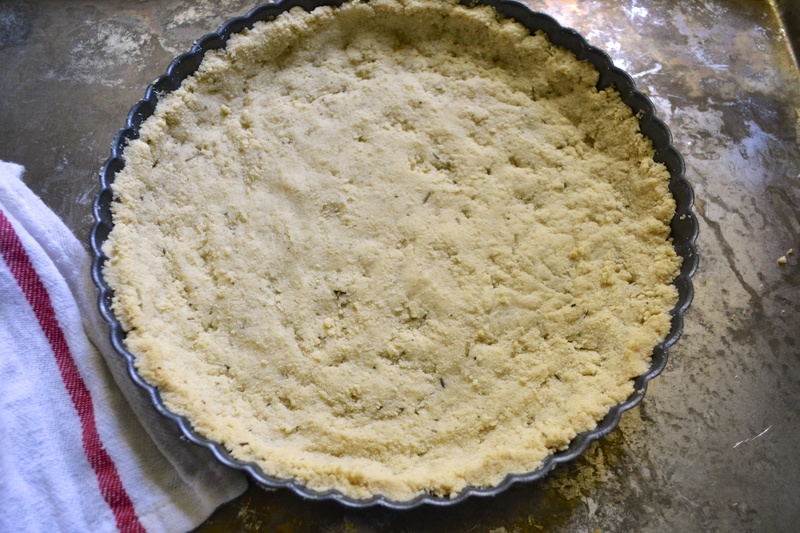 Place the tart crust in a preheated 350 F oven and either partially bake for 15 minutes or fully bake for 30 minutes or until the tart is lightly golden brown. Remove from oven and allow to cool on a wire rack for 5 to 10 minutes before filling. Congratulations on your upcoming wedding! I’m sure your life is hectic but you are right in trying to enjoy as much as possible right now. Good luck! Oh, this looks good! Is the crust like the tart that Tessa made? I miss my girls; let’s have girls night next week.